This one was different than other trips where each of us spoke to those in our own careers. This year our team focused on business and the entrepreneur. The theme of our talks was Business with a Purpose. Erik focused on visiting churches to preach and to share the PTTW vision with them. We talked to over 2000 students in three days. For almost every talk we spoke to a full auditorium with every seat taken and students standing along the sides. Everyone seemed to really appreciate hearing how God works in business and work. This seemed to be a different slant than many had expected. Shortly after our arrival on Saturday, we had lunch with Rafael and several of his business school professors. This was a great time to get together socially and prepare for the week. 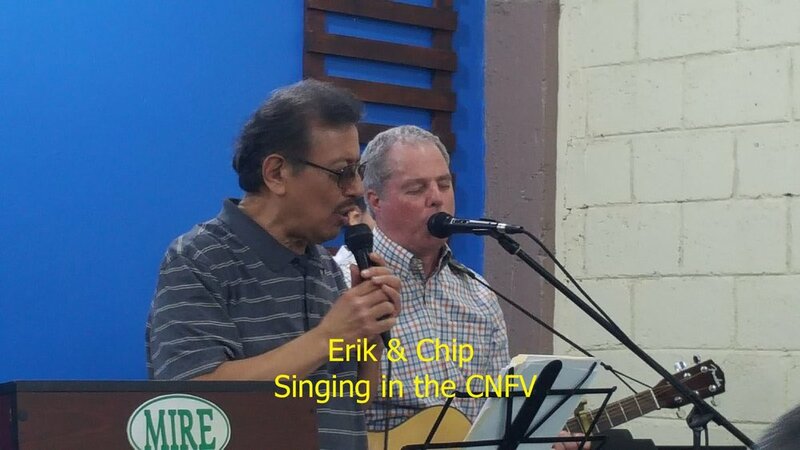 Sunday we left early for Comayagua where Erik, Joel and I spoke briefly to a large church in the morning that met in a beautiful outdoor area. We shared about God’s work in the universities. 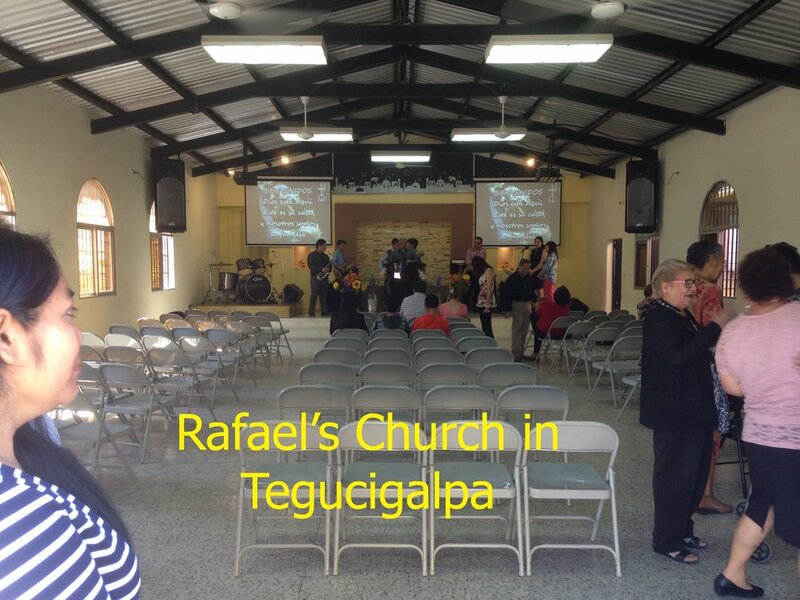 In the evening, Erik gave a great message in Joel’s church after which we returned to Tegucigalpa for the night. Monday morning we met again with Rafael and his professors to plan for the week as well as briefly talking with the Dean of the UNAH business school in Tegucigalpa. I also spent some time with Elin helping him to learn quickly how to film our talks. Tuesday we spoke to overflowing crowds in the morning and afternoon. There were 150-200 students in attendance at our six talks for a total of over 1000 students. 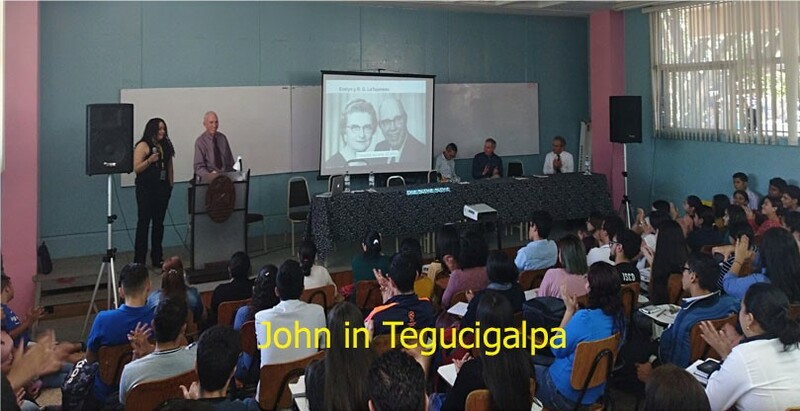 Wednesday we travelled to Comayagua for our first talk at 8 AM. Again we spoke to many students in the morning and afternoon, about 600 in all. Our talks were getting better and more personal after the start on Tuesday. Brad spoke for part of John’s talk and for part of Mike’s as well. He did a great job with very little preparation. The students were very engaged with our talks. 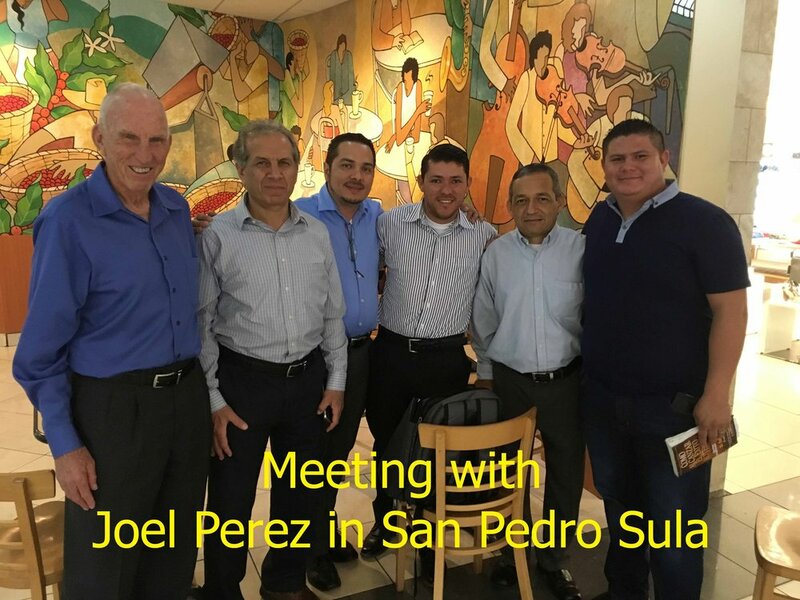 Joel Garcia made many appointments for Erik with pastors as well as times for him to speak in several churches. We left him in Comayagua until Monday morning when I met him in the airport. Thursday we travelled to San Pedro Sula for more talks in the afternoon. But first we had to drop off Mike and Brad for their plane back to the USA. 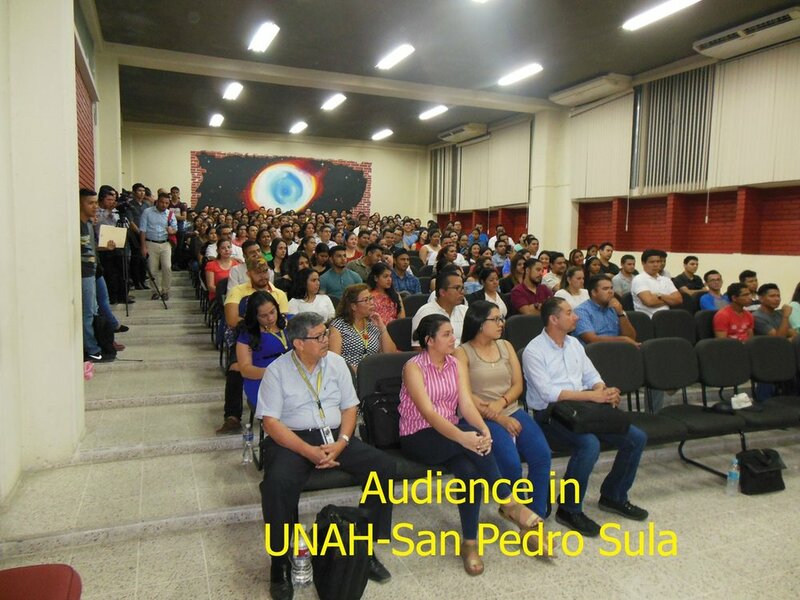 We had a great meeting in UNAH in San Pedro Sula, with the head of the business school and his professors. They seemed pretty excited with what we were going to present. Our talks all went very well, with Chip sharing my time and Martin’s time. He was a real contributor. Rafael spoke in place of Mike and did a great job using Mike’s material and adding some of his own. A young man who had sat through all of our talks came to me afterward and invited us all to dinner which we accepted. We had a good time together. He comes from a wealthy family and wants to be president some day. 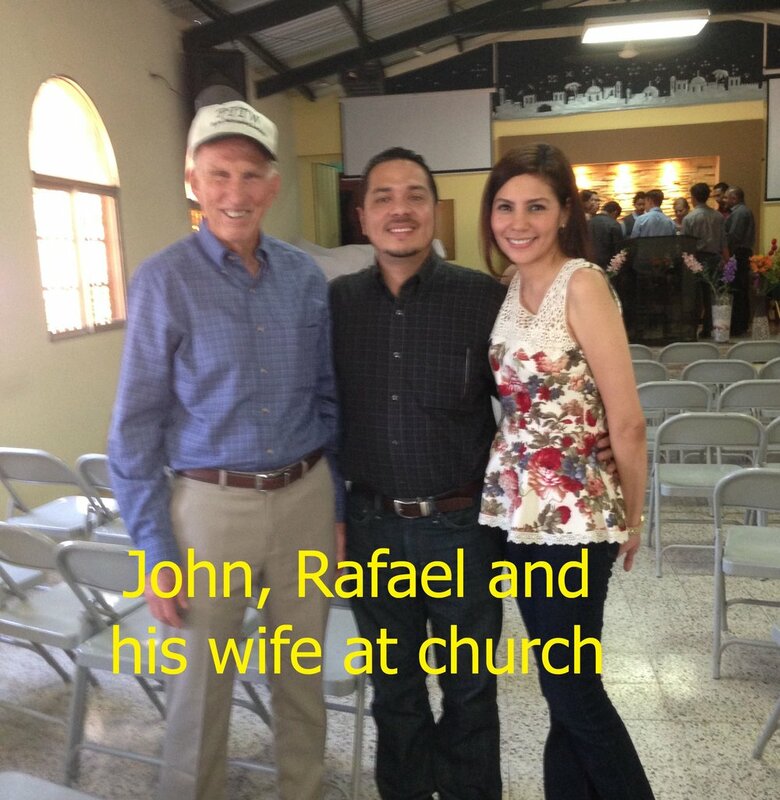 He would fill a big need for us in San Pedro Sula, but we need about $300-$500/month to support him. Please pray that God will supply this need. Friday, we returned to Tegucigalpa. We had a short meeting with Rafael and decided to write a note to the Minister of Education along with a copy of the book which Charly had written for the grade schools. Rafael then asked me to make a video of our work in the public schools to send to him as a follow up to the book and letter. I have since done this and sent it to Rafael and Arnulfo. We will see where this leads. Saturday Chip and Martin left for home, leaving me in Teguce and Erik in Comayagua. 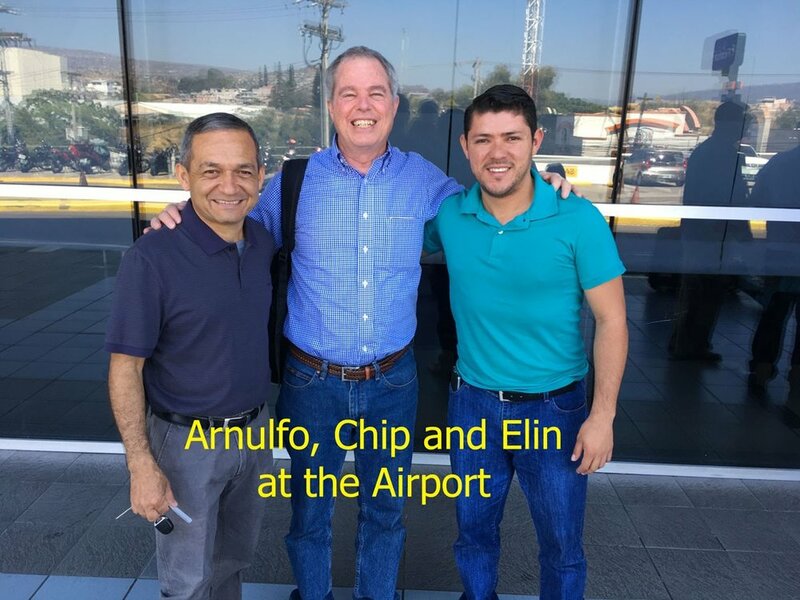 Sunday, Arnulfo came for me and we went to Rafael’s church where we met with his pastor and shared with him and later with the church encouraging them to lead lives devoted to Jesus and to become models for the university students to follow. 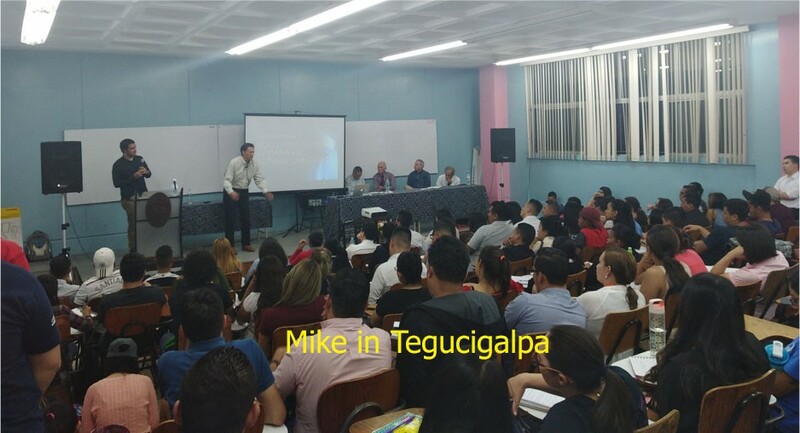 Meanwhile, Erik had been busy in Comayagua where he had meetings with pastors and leaders and gave a devotional to 32 youth and children in a bilingual school. He also shared about our ministry in five churches and was invited to preach in four of them. He found a real lack of discipleship training in the churches. He hopes to return in the future to follow up on this need with the pastors. In all, he spoke to 483 people. Thanks to the donations of individuals and organizations, we were also able to buy video equipment which we used to film all of our talks. 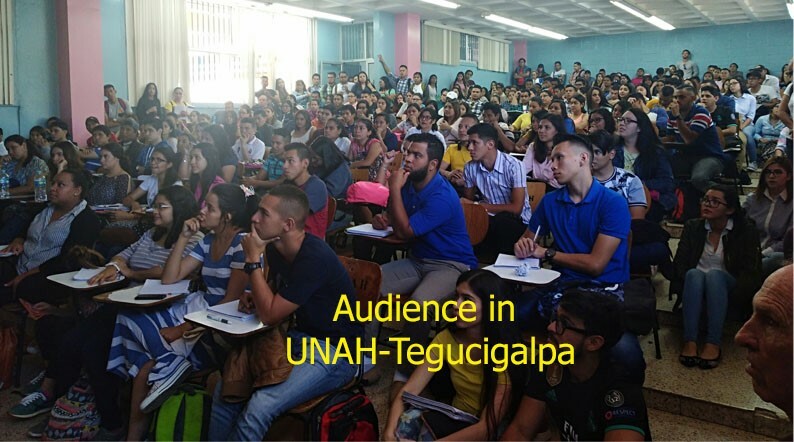 Videos of these talks will be sent to the other national universities in Honduras. In addition, more videos will be made of our work in the schools, high schools and the universities to promote the significant work God is doing through Professionals to the World. Monday Erik and I returned home. What a busy time, but a time during which God has opened many hearts and minds to follow Him. A big door is opened to us in the business schools in the country where there is a lack of jobs and a need to develop entrepreneurs. There is also a need for our training in values and principles in all of the schools and universities as well as for discipleship training in the churches. We are excited to see where God will lead us through these many opportunities. We need help. Come join us financially or personally as God uses us to help change an entire country.